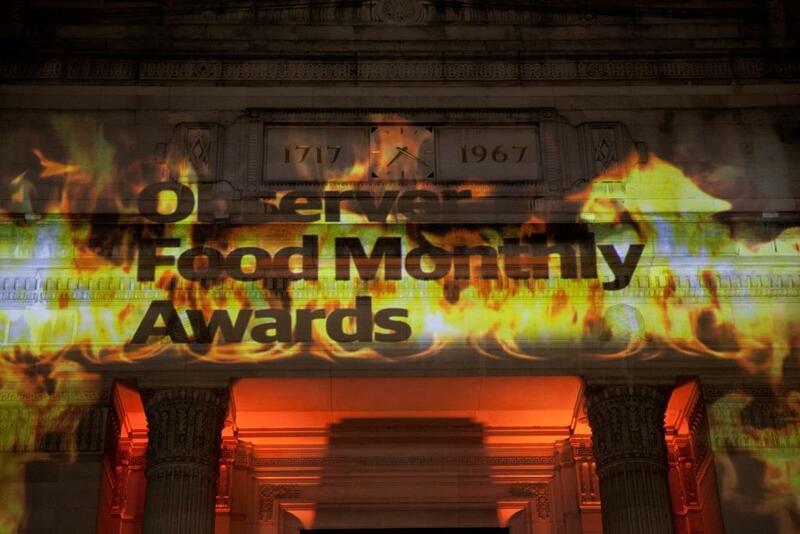 Now in their 12th year, the Observer Food Monthly Awards reward the best in British food and drink. It’s the only awards where you’ll find a great butcher, market or deli alongside Heston Blumenthal, Jamie Oliver and Nigella Lawson. Guardian readers voted for their favourite restaurant, cheap eats, markets and more. The awards showcase local heroes nationwide, as well as the biggest chefs and food personalities. This year’s ceremony took place at Freemasons’ Hall in October, with catering by Create. Claudia Winkleman and Jay Rayner co-hosted this year’s celebrations and were joined by Observer Food Monthly editor Allan Jenkins, who introduced the evening. Niklas Ekstedt, Head Chef of Stockholm brasserie, Restaurant Ekstedt, designed the menu, and was joined by the Create team on the night, helping him bring the dishes to life. Guests were served canapés including hay-baked turbot on Swedish crispbread, tarragon and rapeseeds; smoked reindeer heart tartar with elderberry capers; Vendace roe on rye bread and chanterelle and radishes. Bowl food followed – guests enjoyed Fjällbacka langoustine, smoked tomato and toasted almonds; West Sweden squid, juniper and seaweed; beef, roasted leek, potato and Västerbottensost® purée and sea buckthorn and carrot dip, blackened broccoli. Sweet dishes included hazelnut cake, cloudberry butter and Oviken yoghurt; lemon thyme bavaroise, raspberry and wood sorrel and masala chai banana bread with coconut cream cheese and cardamom icing. Winners were selected by a Michelin-starred panel of judges. The celebrated lifetime achievement award went to Mary Berry, for her outstanding contribution to culinary arts. Readers voted The Palomar in London as ‘best restaurant’ and Michelin-starred chef Tom Kerridge came top in the ‘best food personality’ category. Up-and-coming 21-year-old chef George O’Leary, Demi Chef de Partie at the two-Michelin starred Hand and Flowers in Marlow, was awarded ‘young chef of the year’.